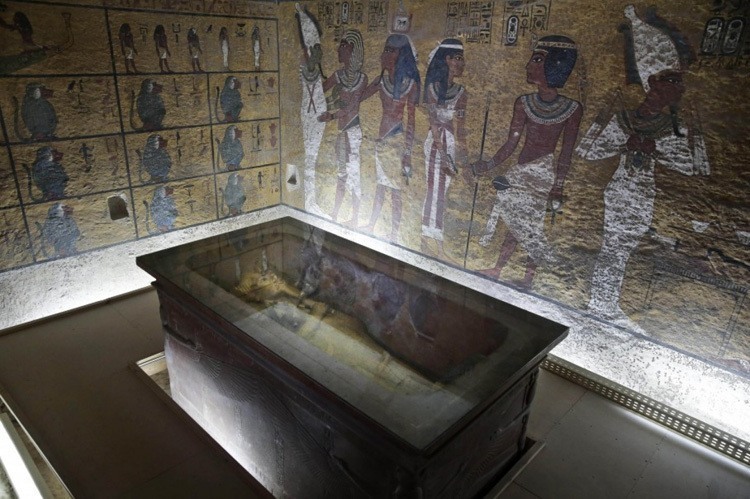 Move over, Harry — there’s quite possibly a new “chamber of secrets” in town, and in legendary Egyptian boy-king Tutankhamun’s tomb. 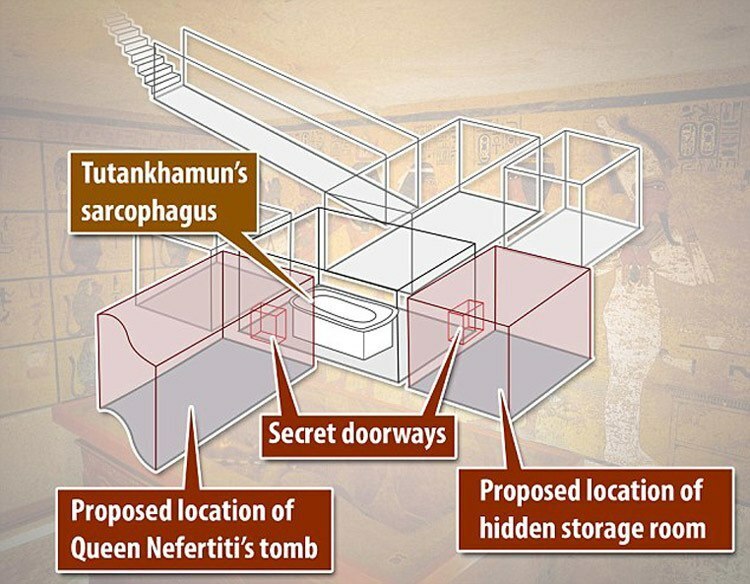 British archaeologist and Egyptologist Nicholas Reeves has recently put forth a groundbreaking theory that the famous burial site — discovered by Howard Carter 93 years ago this November — contains not one, but two hidden chambers. Even more interestingly, he thinks Queen Nefertiti, whose burial site remains a mystery, is inside one of them. Reeves bases his theory on on high-resolution scans of the tomb’s walls, and history. 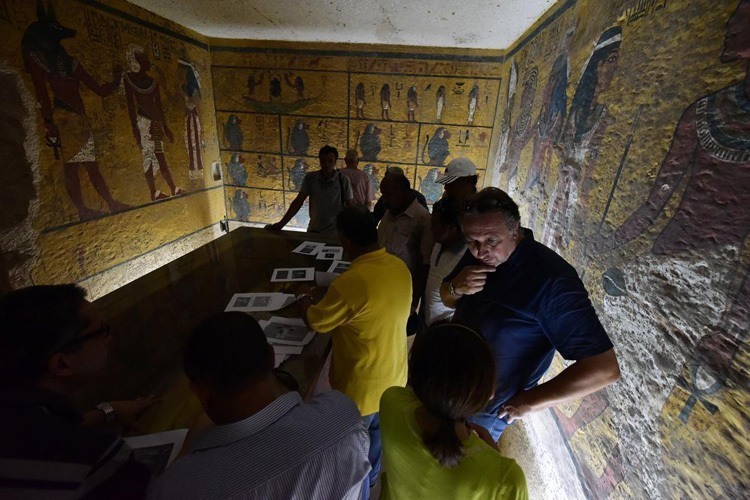 Indeed, three thousand years ago, intruders discovered Pharaoh Horemheb’s sarcophagus after they barged through a false wall adorned with a painted scene — walls with similar decorations and architectural features to those in Tutankhamun’s tomb. Details that support Reeves’ hidden chamber theory keep piling up. “The most obvious [evidence] is a carved line that crosses the stone ceiling of Tutankhamun’s burial chamber,” National Geographic‘s Peter Hessler wrote. “Lines like this are made when workers use chisels to fashion the right angle between ceiling and wall, and such a mark runs the length of the antechamber. Reeves also believes that the painting on Tut’s chamber wall has been interpreted poorly. In Reeves’ eyes, the painting does not show Tut receiving the “opening of the mouth” death ritual, as commonly thought, but Nefertiti. 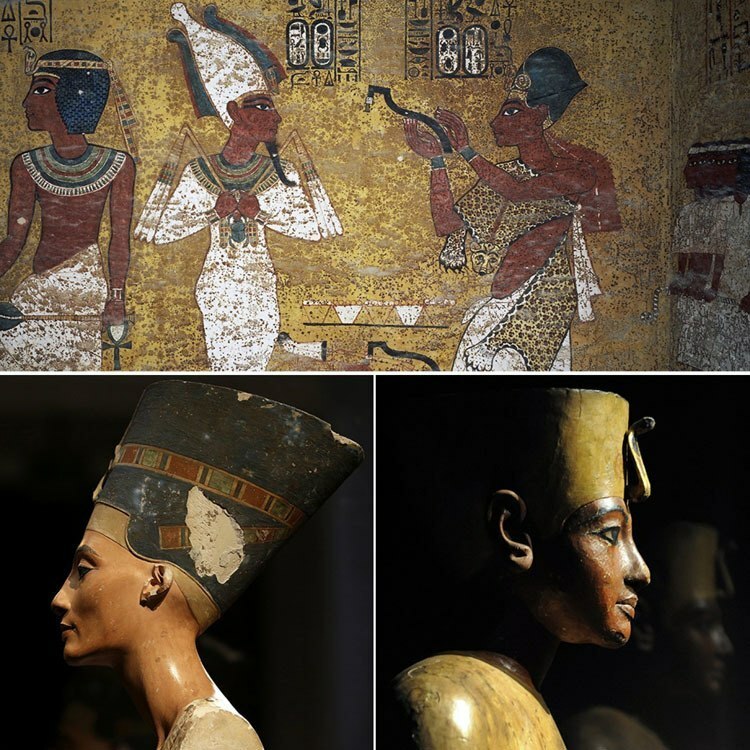 This supports his hypothesis that Tut’s tomb was originally planned and constructed for the powerful Nefertiti — but since the young king unexpectedly died first, at age 19, he was buried there instead. 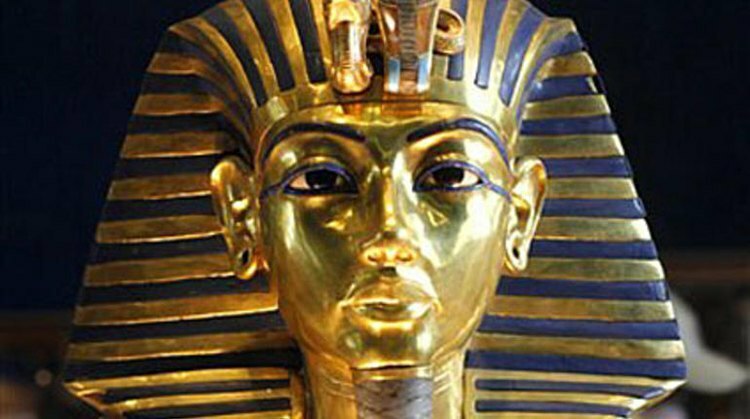 This likewise lends authority to Reeves’ thought that the most famous artifact associated with Tut – the gold funeral mask — was actually designed for the iconic queen. After all, it contains earring holes, which male pharaohs did not wear. Reeves plans to use radar and thermal imaging technology to get a better grasp of what’s behind those walls this November, and results should come in quickly. The archaeologist suspects that one chamber may only be a storage area, but hopes to find a sarcophagus in the other. 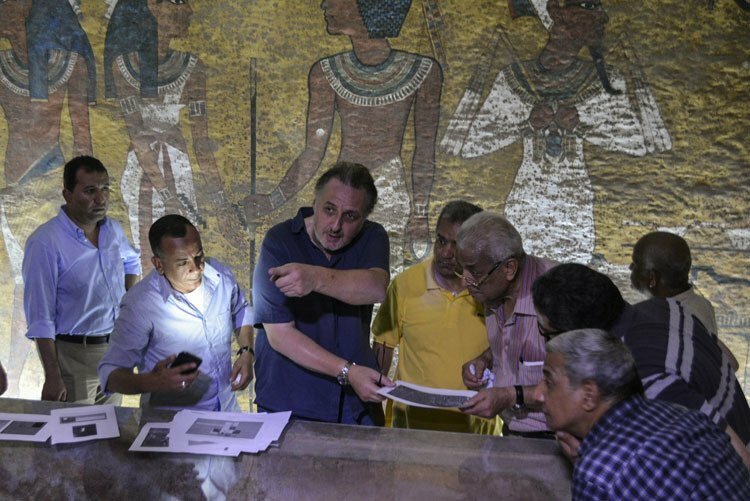 Just who could be found mummified behind the north wall of King Tut’s tomb is open to speculation, and in fact that speculation has gotten Reeves in trouble with some members of the archaeological community. “Talk of the doorways would have been fine,” said Dr. Aidan Dodson, an Egyptologist at the University of Bristol, but it was “speculative” to add Nefertiti, The Independent reported.